Refuse removal is an important function on resorts, campuses, government and other sites. And it’s important to find cost-effective vehicles designed for those applications. 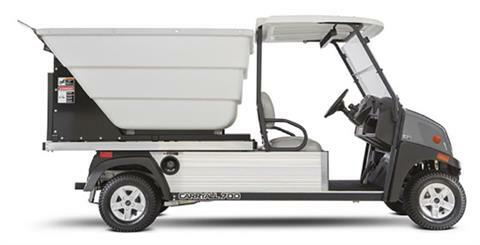 Club Car delivers that with the Carryall 700 Refuse Removal Vehicle with a heavy-duty bed lift and Carryall 700 Refuse Removal with High Dump Vehicle. Tail lights, brake lights, and horn. 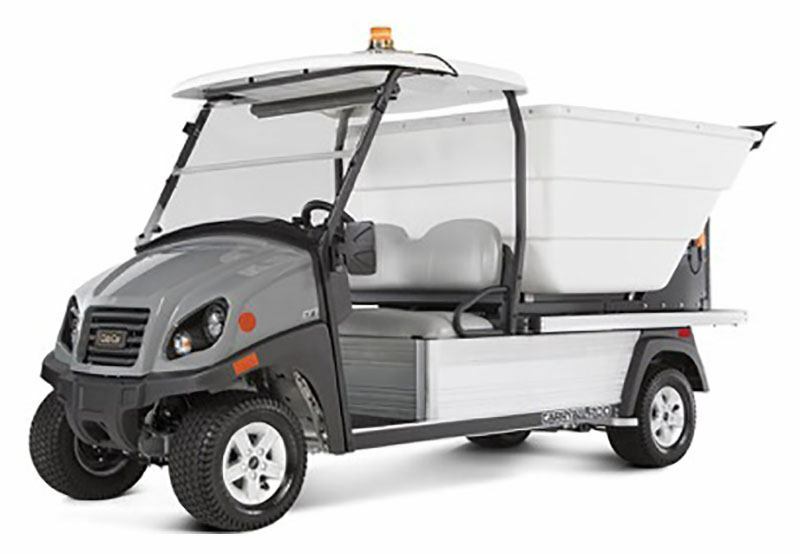 The electric model is equipped with the same accessories as the gasoline model but features a 48-volt battery pack with extended-range batteries and a single-point watering system for easy battery maintenance. The smart on-board charger prevents common user errors, and the reel retractor allows for charging at any 110-volt outlet. 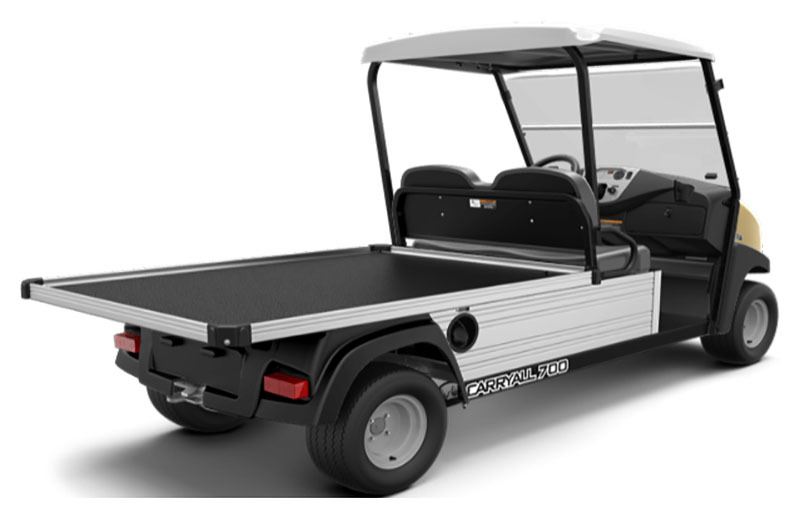 LONG BED FLOOR INSTALLATION: Long bed floor used for cargo or flat beds on a Carryall 700 or 710 LSV units. LONG FLAT BED WITH TRIM: Easily load and unload equipment on this flat bed used on the Carryall 700 or 710 LSV units. 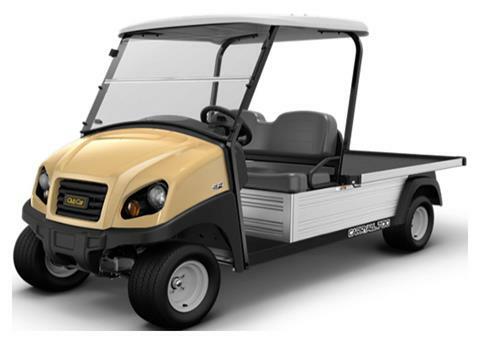 Hinged Windshield: Whether folded open on a hot, humid day or closed up on chilly and rainy mornings, the hinged windshield works hard to keep you comfortable. 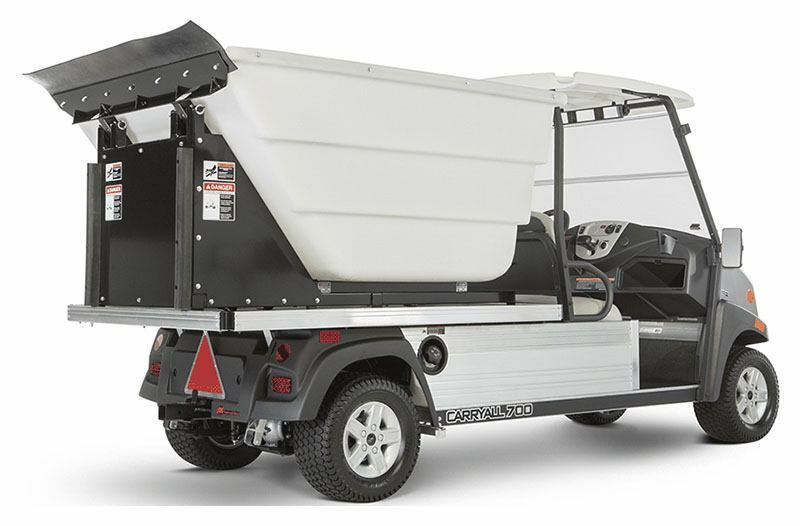 Plastic Waste Hauler for Above-Ground Dumpsters: Transport and dispose of waste into a dumpster with this high-dumping waste hauler. White Canopy for FSB or High Dump Hopper: Add shade and protection with a canopy, available in multiple colors to further customize your vehicle.